VARIETY is the buzzword at Sunway Putra Hotel’s Ramadan buffet where over 100 dishes will line the tables. These range from local and Asian offerings to western selections. The buffet, with 5 menus on rotation basis, is from 19 May to 4 June, 2018. Naturally, the focus is on Malay lauk pauk, from appetisers to main dishes and dessert. We start with a scrumptious Kerabu Ikan Pedas and Rojak Buah before picking from various raw ulam and 5 types of salted fish to go with Sambal Belacan, Budu, Kicap Chilli-Bawang, Cincaluk and Mango Chutney. 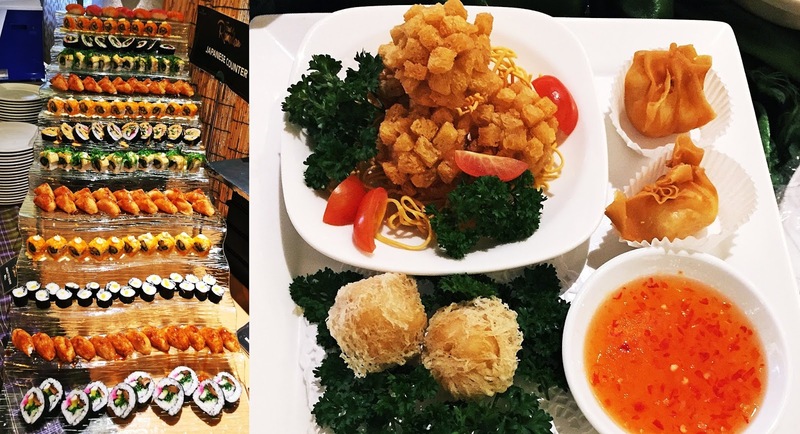 Lined along the perimeter of the Coffee House are offerings such as a Japanese Sushi Tower, Oriental Barbecued Whole Lamb, Chinese dumplings and action stations as well as trays of hot dishes from the Malay, Chinese and Indian kitchens. Shawarma, Laksa Utara and Grilled Seafood are popular while I like Ricky’s fish head curry, a signature item at Coffee House. But instead of the usual red snapper fish head, the Ramadan dish is made with salmon fish head which is pre-cut into smaller chunks for easy eating. Pick your favourite fish head portion and favourite vegetables and the chef will reheat these in the curry gravy. Best with roti canai, nasi hujan panas or plain white rice. Not to be missed from the Malay kitchen are Ayam Goreng Berempah, Udang Kalio with Belimbing Buluh and the delicious Pomfret Masak Lemak. Then go for Steamed Fish with Teochew sauce and Mutton Masala. There is a huge variety of kuih-muih and western pastries but none catches your fancy, end the meal with a hot coffee/tea or something cold such as cendol or ice kacang.